I am thrilled and very honored to be a part of Jane's second book, following the major success of The Dry! I absolutely loved the first book and I couldn't wait for the second! Thank you to Little Brown for letting me be a part of this bookish journey! You can read my review for THE DRY here. Disclosure: I was sent this ARC from the Publisher in exchange for a review. As always, my reviews are fair and unbiased. The Dry definitely left me wanting more from the Aaron Falk books. Jane has this certain way of writing that just leaves me wanting more, despite being a huge YA fan. I'd definitely class her as an Author to-watch and one of my new favourites! I have always had a certain thing for thrillers. Whether it was the underlying tone of a book, the hook of a movie or the darker things in life (anyone else obsessed with night time and the moon/stars?!). 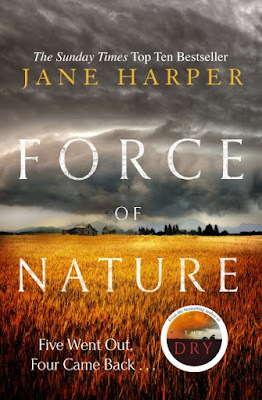 So when books like Force Of Nature come along, I can't say no. We're thrust back into the mystery of The Dry, in a small town, the thickly unnerving atmosphere so real it could reach out of the book and pull you in. Aaron Falk is back, only this time he's looking into a different mystery - surrounding five women who got lost in the Forest, and only four make it back - but what's shocking is that the secrets of The Dry are not over and done with. Aaron is bewildered to find that Alice, his informant on a case, is the missing woman. Suddenly he's thrown back into the ever-weaving mystery that surrounds the dark case, delving into unknown territory to uncover the truth. Since The Dry left off, Aaron's character development has soared into Force Of Nature. Piece by piece, as a reader I can put together this image of him and the person that he was and has become. 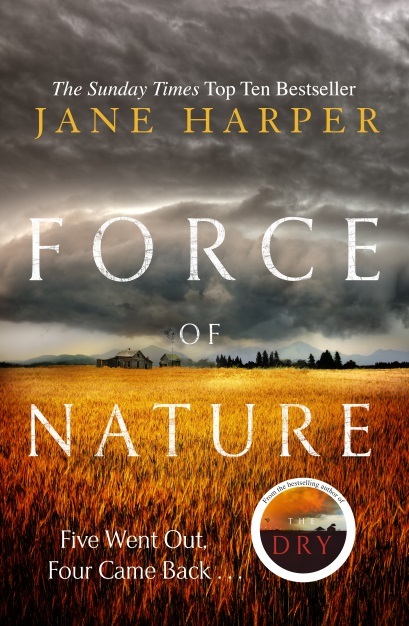 Jane's thrilling and poignant story-telling is magnificent once again, the descriptive passage of the heat in The Dry, into the deep dark forest in Force Of Nature, are forces to be reckoned with. Told in these two distinctive points of views; one in the moment, and another that sends chills up my spine (yes, it's that good), it was a match made in heaven. I was intrigued by Carmen, Aaron's new work partner, and how their relationship seemed to build and change with the plot effortlessly. 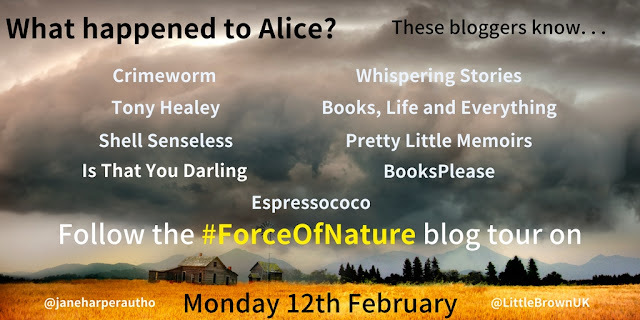 Overall, Force Of Nature is definitely a very fitting name - it swept into my hands and didn't leave until the last page was turned. I was turning and turning and turning, so captivated by the characters, the description, the everything. Jane is quickly becoming one of the best Authors I've had the pleasure of reading books from and it's insane how fast you will become addicted to these stories. I can't recommend them enough! Five stars completely. Have you read The Dry / Force Of Nature? Let me know in the comments, on Twitter using the tag #ForceOfNature or on Facebook!